Closest to Omaha. Most experienced in Nebraska. 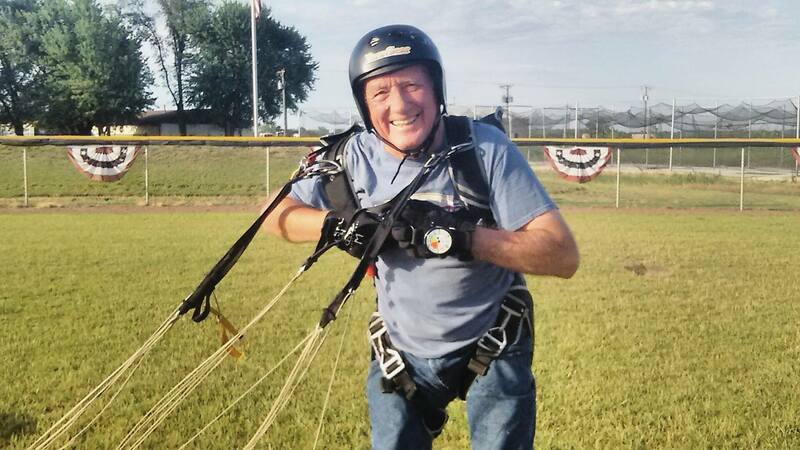 We’re the only skydiving club in the Omaha metro area, safely operating since 1959. 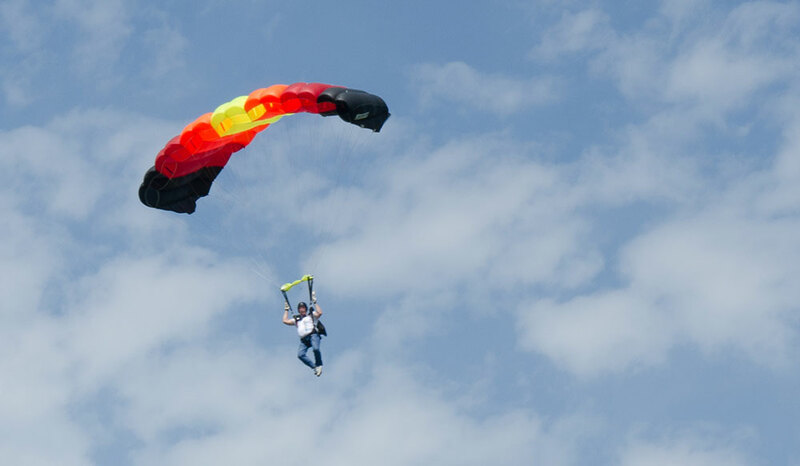 The Lincoln Sport Parachute Club (LSPC) is Omaha’s closest United States Parachute Association (USPA) skydiving center and a short 30-minute drive from Lincoln. 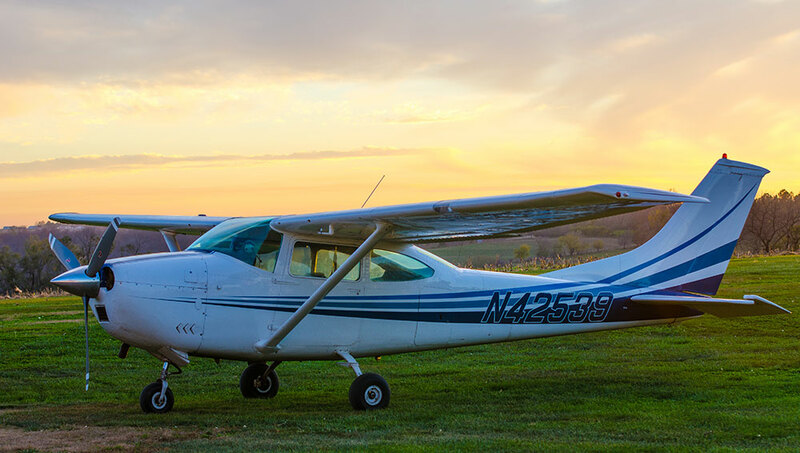 We operate from the LSPC-owned Brown’s Airport in Weeping Water, Nebraska. 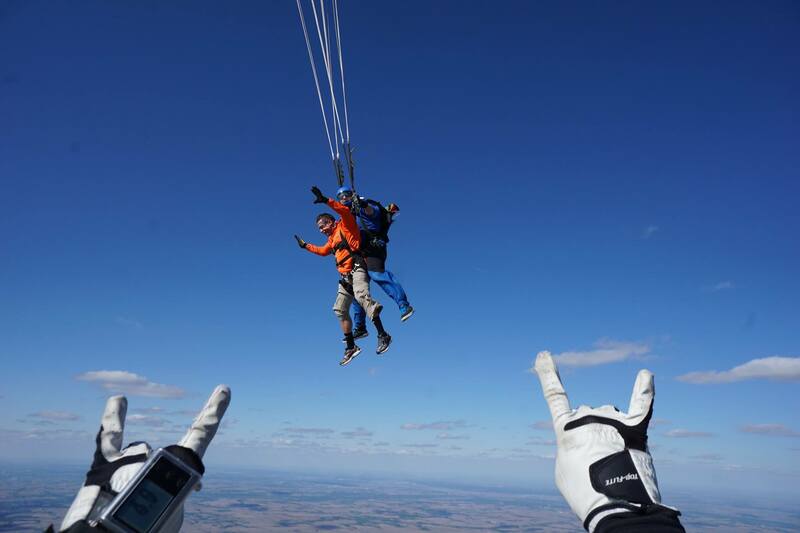 We also host large skydiving events during which we feature one or more large Twin Otter airplanes capable of flying 23 skydivers to approximately 13,500 feet (the highest in Nebraska) in just under fourteen minutes. LSPC started in 1959 and is the oldest drop zone in continuous operation in the United States. 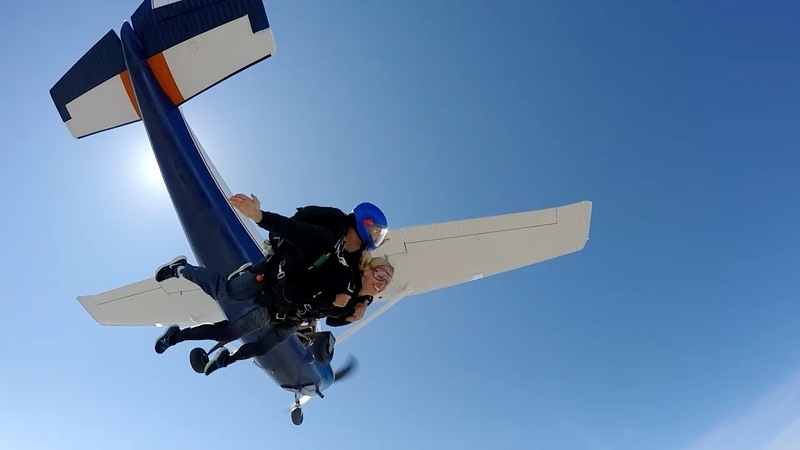 The instructors are certified in multiple disciplines and use the latest skydiving safety equipment, including UPT Sigma tandem containers, Cypres II Automatic Activation Devices and Aerodyne student containers and Performance Designs canopies. All equipment is inspected by on-staff FAA-certified senior master riggers. Your safety is our #1 priority. 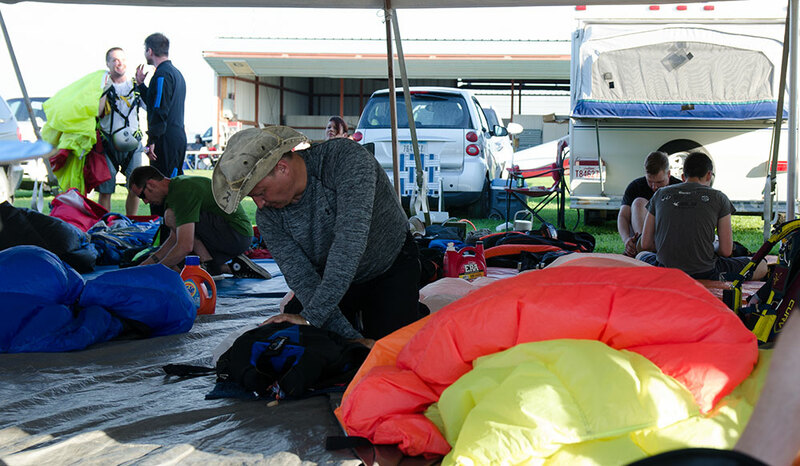 All instructors and coaches at LSPC hold current United States Parachute Association (USPA) ratings and are certified in static line and tandem skydiving. 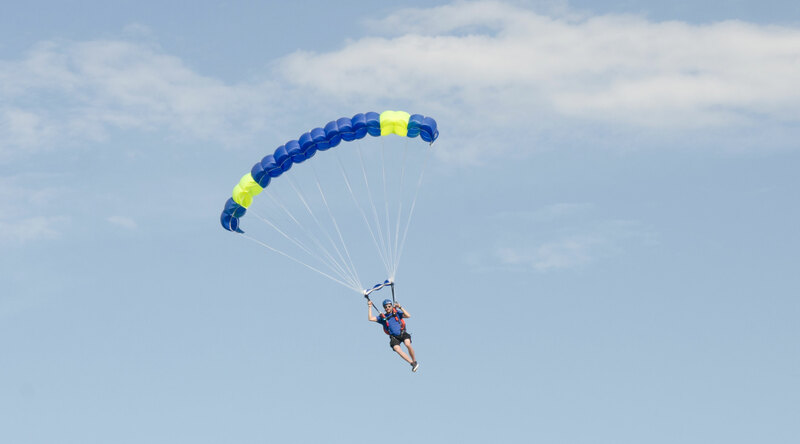 We are highly proficient at training skydivers and have the experience, knowledge, and equipment to provide a professional, full-service, and safe skydiving operation. Our New 4,800 Square Foot facility! As we begin our 60th year, we’re excited to open the doors to our brand-new skydiving facility. 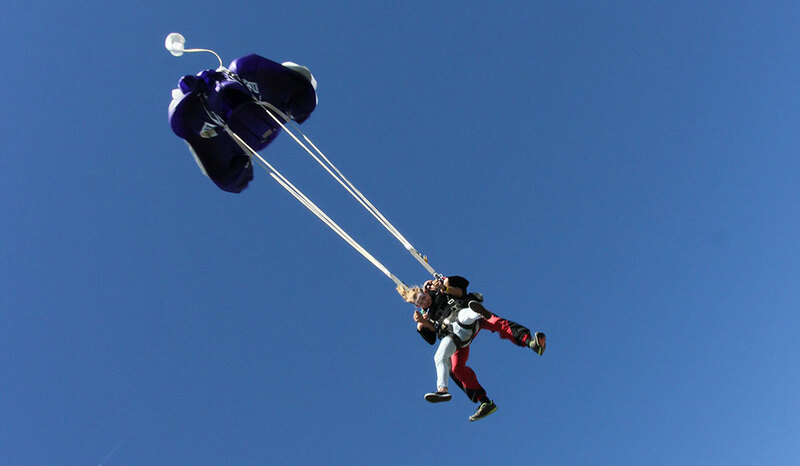 Our beautiful structure was designed and custom built for all-things skydiving! Our training rooms are spacious, private, comfortable and modern. If you bring the family, we have plenty of seating, nice bathrooms and a kitchenette to serve all your needs. We’ve got free, high speed internet if you’d like to surf the web while you’re waiting. Need to charge your phone? We’ve got you covered with several outlets. 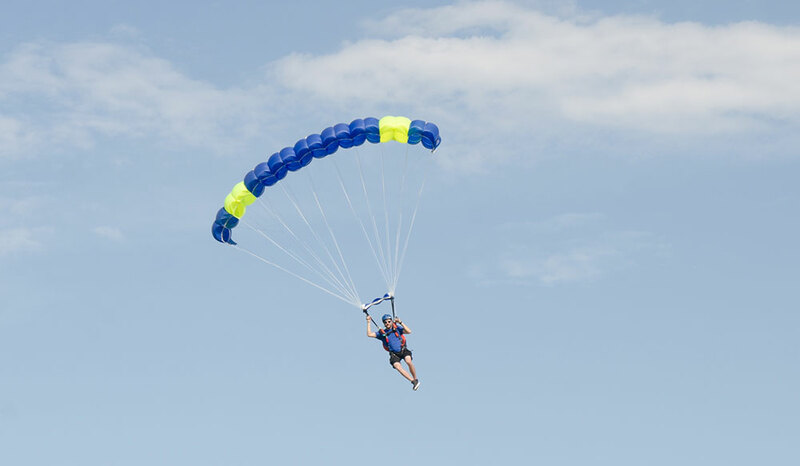 Whether you’re an experienced jumper or student jumper, our 1-inch super soft packing mats will save your knees while you’re packing your parachute. Not sure about jumping? Feel free to come out and watch. We have plenty of shaded seating for you to watch us skydive. 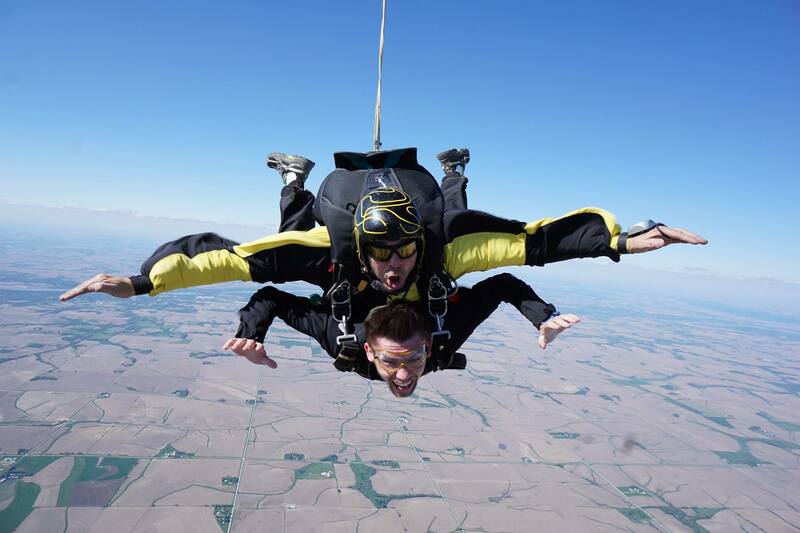 Make your first skydive with the peace of mind that you’re skydiving with the most experienced and professional skydiving instructors in Nebraska. Experience it all for one flat fee. Don’t want to drive 3 hours to make your jump? We’ve got you covered! We operate out of Weeping Water, NE, which is a short drive from Omaha and Lincoln. 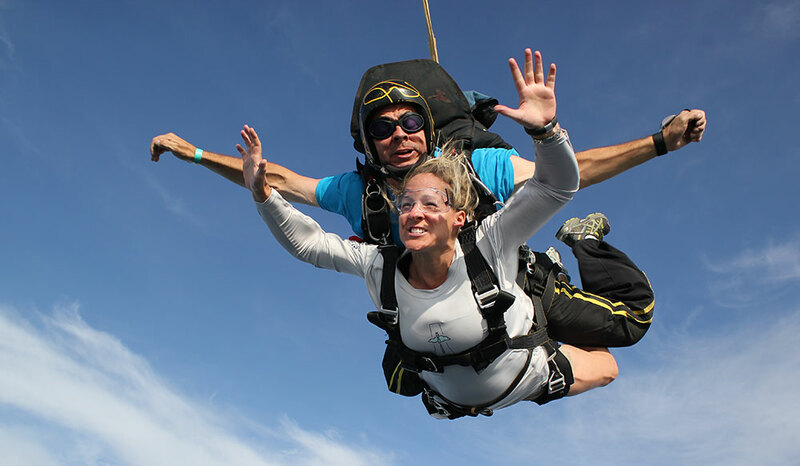 Jump from up to 13,500 feet during our large skydiving festivals. 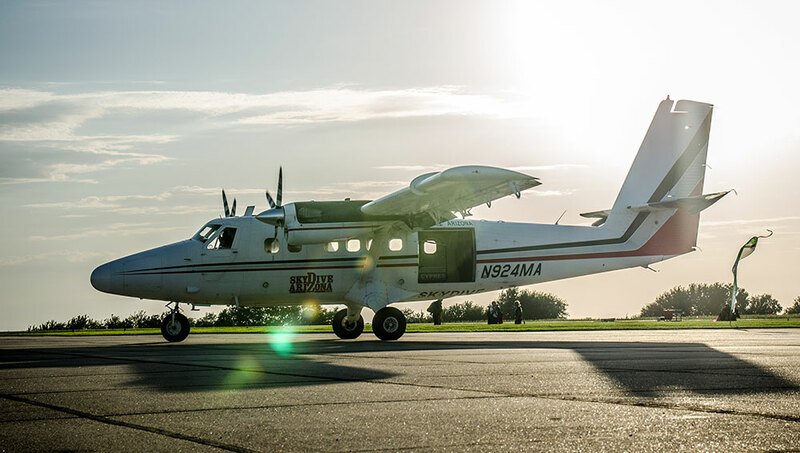 During our skydiving festival we use two Twin Otter airplanes, one of the largest skydiving airplanes. 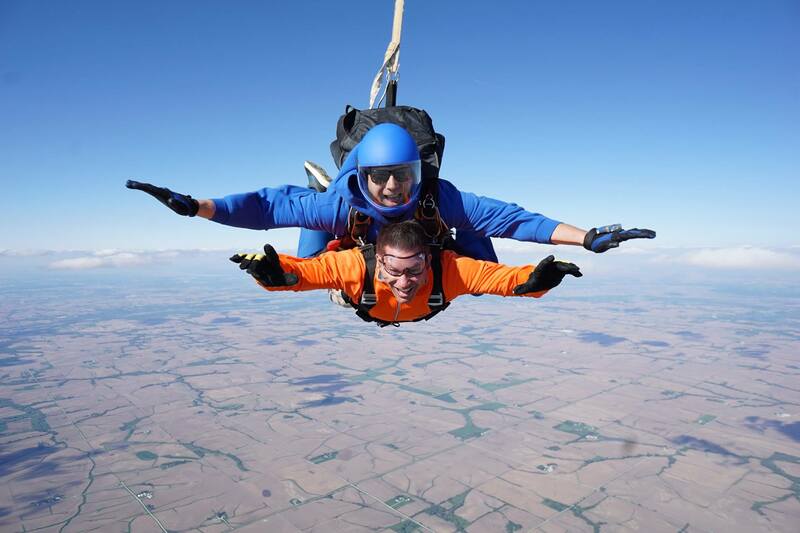 We are the Midwest’s original skydiving dropzone, established in 1959. We are dedicated to safety. We pride ourselves on our excellent safety record. What you see is what you get. Experience it all for one flat fee. Want to jump solo? Our static line training method is for you! 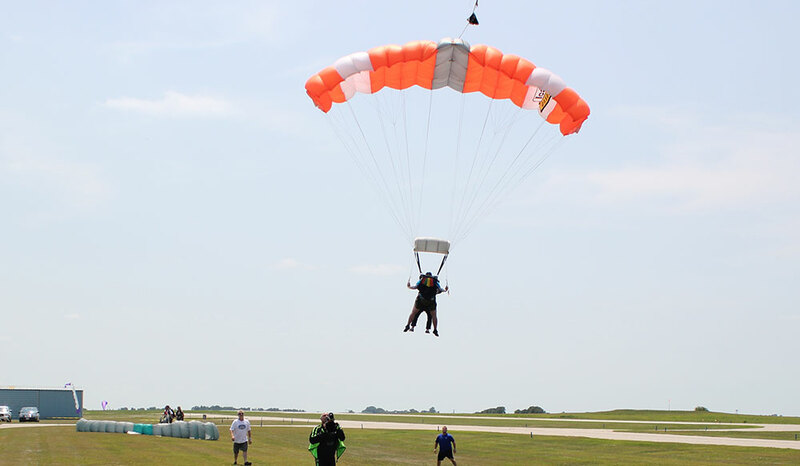 Lincoln Sport Parachute Club (LSPC) is located on a private airport just outside Weeping Water, NE, equidistant from Omaha and Lincoln. 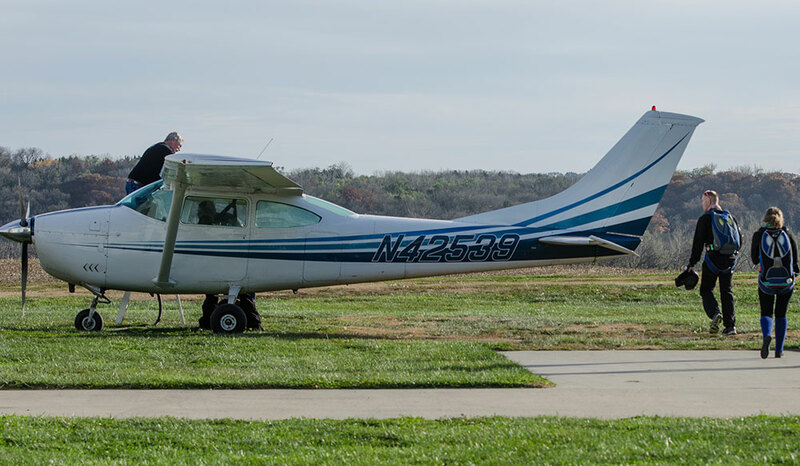 Our club owns two Cessna 182 airplanes, the most widely used airplane in the skydiving industry. 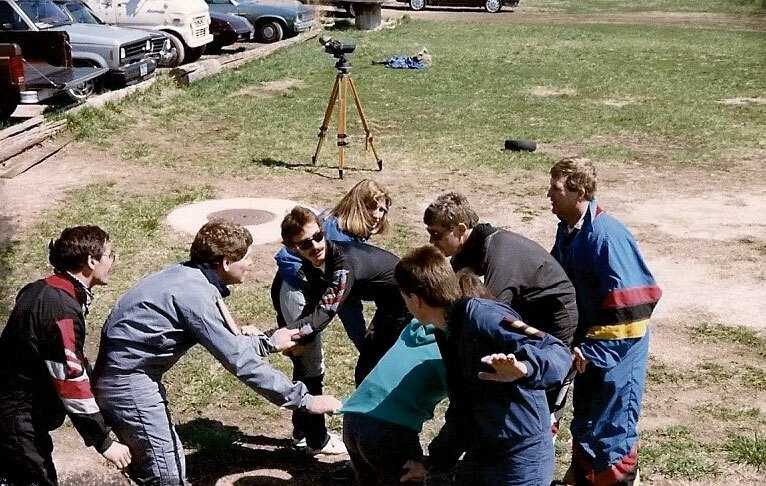 Established in 1959, LSPC is one of the oldest clubs in the United States and has over 70 club members who enjoy the sport of skydiving. Our methods of training vary to fit your needs. Whether you plan on making 1 or 1,000 jumps, we’re glad to have you here. 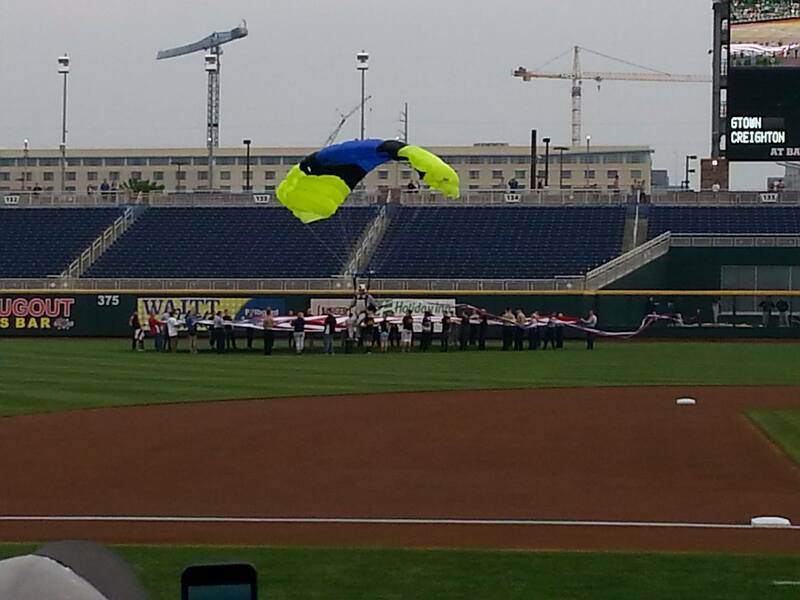 We are group members of the United States Parachute Association (USPA), the largest group of skydivers in the world. 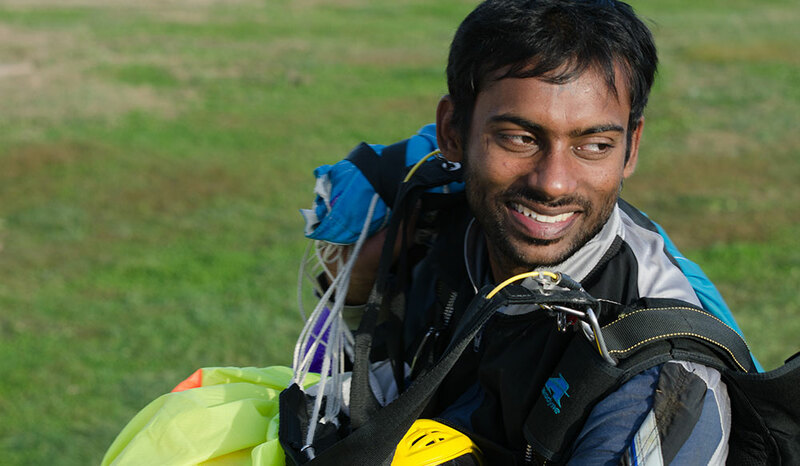 All of our instructors and coaches are certified by USPA and hold the utmost respect in following the guidelines and methods set forth by that organization to guide you to the best skydiving career possible. 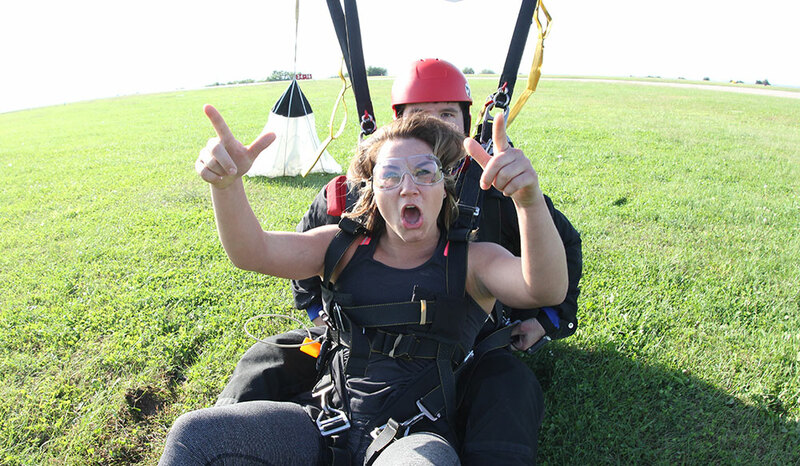 You will find out that LSPC offers much more than skydiving. The social scene is very unique. 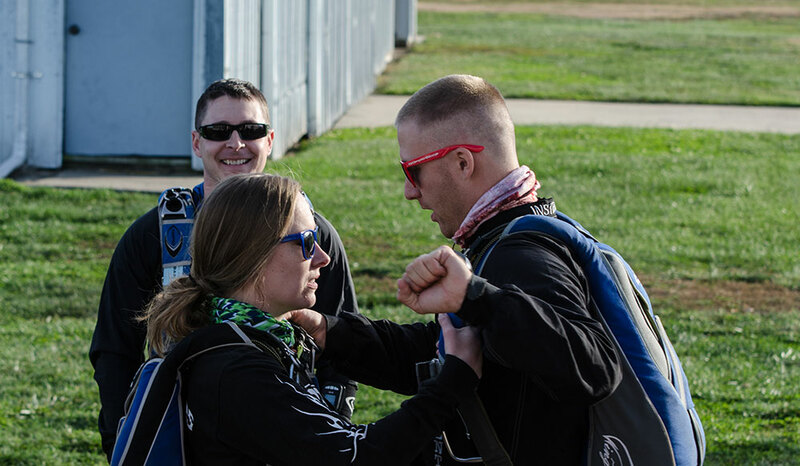 The bonds you make here, and with skydivers worldwide, last a lifetime. 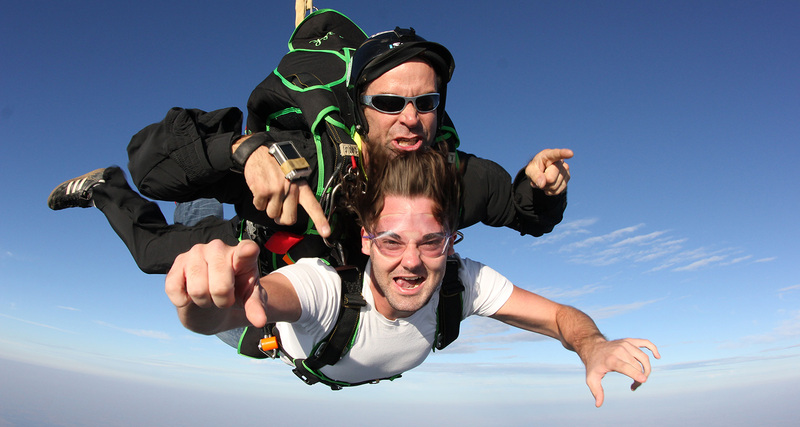 Skydiving will do whatever you want – it can enhance or define your life. No matter what, the impact will be a positive, successful one! 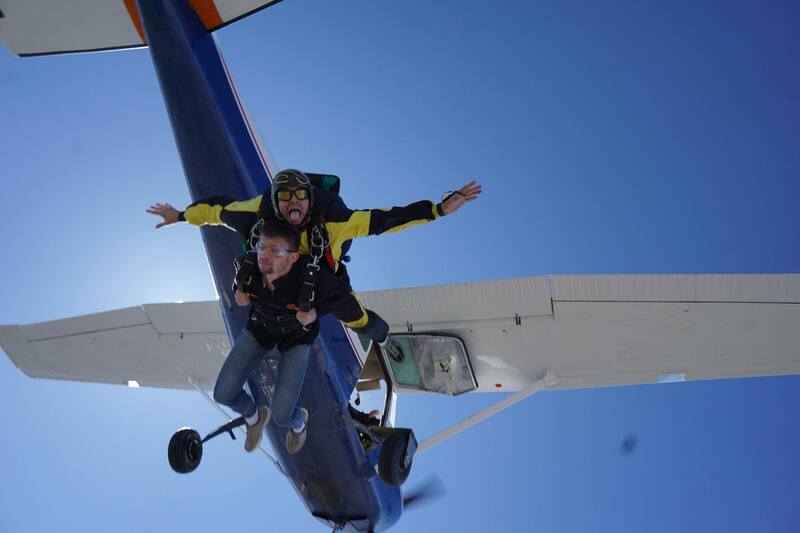 We invite you to come by and immerse yourself in the sport of skydiving. Have fun, relax and open your mind to a world of possibilities.